Dr. Travis Breaux, Associate Professor in the Institute for Software Engineering, spoke recently as a part of the 2018 NCSA and Nasdaq Cybersecurity Summit. Held at the Nasdaq MarketSite, the summit brings together technical thought leaders to connect and exchange ideas around corporate understanding of risks associated with cybersecurity. 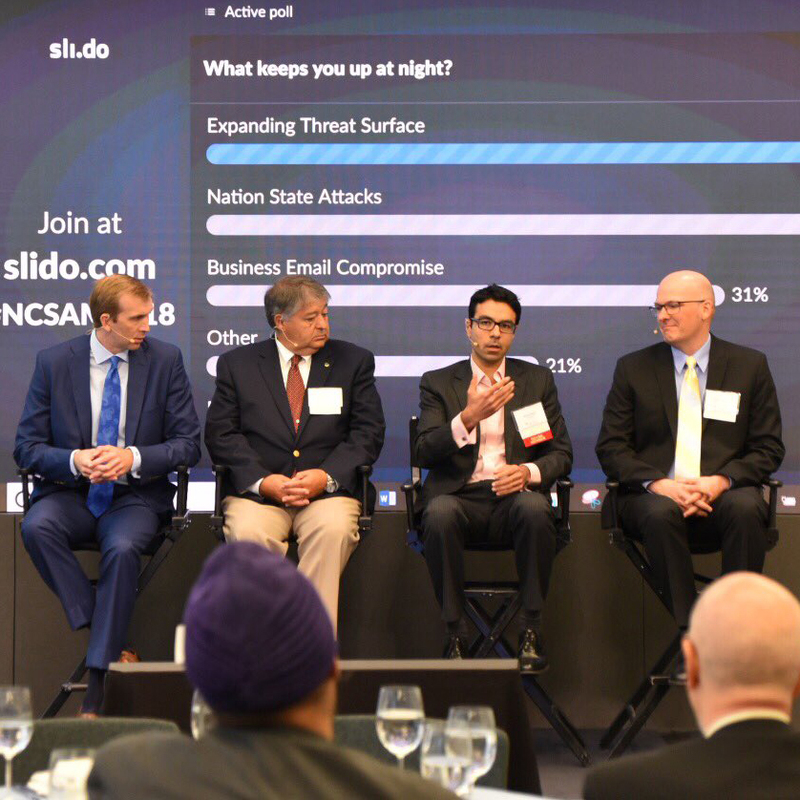 Citing the danger posed by cyberattacks to our nation’s infrastructure, the event featured discussions ranging from how to protect municipalities from attack to building a culture of cybersecurity in large organizations. Destabilizing access, by misinforming voters about long lines, a different voting location, being able to vote by phone, or by invalidating a voter registration. To learn more about the Summit, visit the NCSA website. And to watch a capture of the “Trends in Cyber Warfare” panel, please visit the NCSA on Facebook.